Launched in 2002 and enjoying a strong partnership with Novell since 2003, N-iX has developed into a sizable IT outsourcing company in Lviv in the quiet Western part of Ukraine. 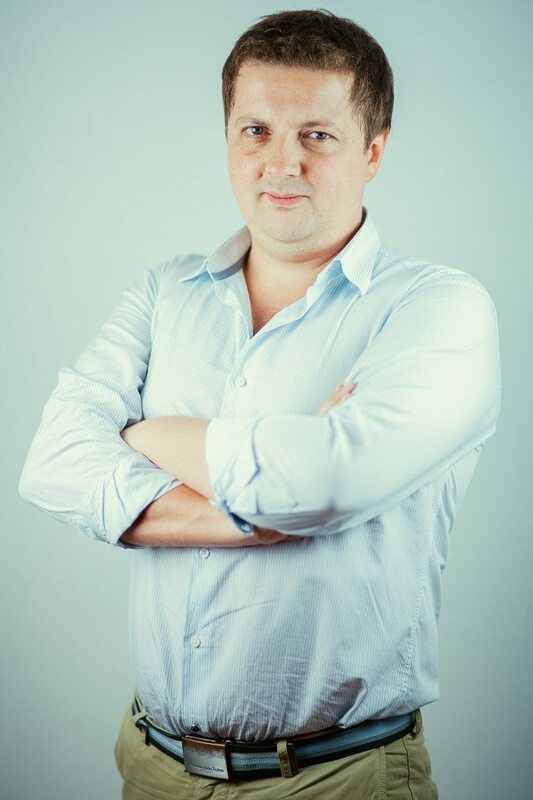 Its founder Andrew Pavliv told Ukraine Digital News how his international clients react to the current situation in Ukraine and about the threats and opportunities that these tensions entail for the local IT industry. He also shared his vision of the country’s future – which will be made more prosperous and socially more mature, according to him, thanks to the development of an internationally connected high-tech industry. You are located in Lviv, which has asserted itself as one of the important areas on the Ukrainian IT scene. Why and how did IT emerge here? The IT outsourcing business in Lviv started in the early 1990s, due to the city being home to large engineering design bureaus. The defense industry, electronics and different engineering companies were quite developed in Lviv. Besides, here we have a large institute – the Lviv Polytechnic – and a large number of specialists have been graduating here for more than 100 years, with specialists working on different engineering problems and doing science projects in the field. Speaking about me personally, my grandfather, grandmother and parents were all engineers in the development of different car mechanisms. Projects that I remember my grandpa told me about in my childhood are, for example, the control hand for the Baikonur rocket – it would shoot back by hydraulics the moment the rocket takes off so that it does not burn – and small transportation mechanisms for aircraft carriers that pull and release planes. A family like mine is not the exception for this region, there are a lot of such examples, so it could be said that some sort of engineering genetics have been formed here in the people. After all, the fact that all this eventually transformed into software development is, probably, organic and a normal way of evolving for this region. What are the prospects of the region, in your opinion? Lviv holds the second spot on Ukraine’s IT outsourcing map – and IT will remain a major asset since it is now part of the region’s development strategy. The local industry will thus attract a large number of young professionals, including people moving from other areas of the country because Lviv is a good place to live in and the growth prospects of IT companies are high. What do foreign companies seek when coming to Ukraine for outsourcing? Putting aside businesses like call-centers that simply seek to cheapen their operations, clients such as Currency Cloud or Novell seek talent and cost-effective solutions for their R&D. For instance, in London, New York and other big centers it is hard to find appropriate specialists — and those you will find will ask for a really high wage, even compared to other industries in these countries. Ukraine, with its highly educated population and technological assets – inherited, to a large extent, from the former Soviet Union – appears a good choice. To which extent have the recent political events and international tension affected your industry – in Lviv and your company in particular? How do you envision the near future? Speaking about Lviv, here we have felt pretty safe in this situation. That has been our message to all of our customers: there is not much to worry about in Lviv, one thousand miles away from the areas in Eastern Ukraine that are affected by the unrest. So, the clients who knew something about Ukraine understood this. Some have even become more willing to do business in Ukraine, like companies from Israel that are accustomed to such difficult situations. But for those with no knowledge of the country, it looked as if entire Ukraine was on fire. When watching the news, they felt their business could be under threat and considered other destinations like Poland or Bulgaria. As a consequence, on our side, we’re considering opening a new office in Poland to offer full peace of mind to these new clients. Finally, these troubles did affect our growth, but we didn’t lose or fire anyone. On the other hand, the current wave of specialists migrating from Eastern Ukraine to Lviv is, in a sense, positive, since they choose Western Ukraine rather than Kyiv (Kiev). In terms of living comforts, the city is competing with the capital and when specialists consider where to move Lviv sometimes gets the first place on their list. As an example, one company from Donetsk recently moved completely to Uzhhorod. There are also small teams that moved here and have become a part of the company. I also know a small studio of 12 gaming artists that moved from Donetsk [a war-torn city of Eastern Ukraine] and joined one of the studios here in Lviv. These moves could facilitate the development of the industry here. Some industry players and politicians believe that new technologies could play a key role in Ukraine’s further economic development. Do you share this view? Ukraine’s outsourcing industry is a huge instrument for building a middle class of educated professionals who will stay and thrive in the country. This industry already amounts to around $2 billion of export yearly. No one doubts the growth prospect in the next few years for this industry, which may not only employ the upcoming generation of IT specialists but also attract people from other professions with a technical education. In addition to offering decent salaries and a Western business mindset, the IT industry raises conscious citizens so to speak – a conscious middle class with good earnings. This, too, is important for the country. When and why did you launch N-iX and how did you manage to sell its technology to a foreign industry leader? We launched our first software company startup in a small office in Lviv (Lvov) in 2002. At that time. we had just three partners in the company with nearly nothing of the investment possibilities and facilitating the environment that we have today for the industry. Our idea was to make software for Linux that would allow our clients to work with Network products – namely with NetWare (Novell’s server) and GroupWise (Novell’s analog of Outlook Exchange). One of the partners, Werner Richard Kreiner, was running a small IT consulting business and worked closely with Novell products such as NetWare and GroupWise in Germany. He was willing to invest. Thanks to this, we could start the company in early 2002. We christened it “Novellix,” combining the words Novell and Linux. We fully elaborated the software and within half a year we could show the prototype to our customers. Users started to download our product. Many thought that the product came from Novell, because we used a part of the company’s name and our website looked alike. This was a big issue for Novell, and our case got on the table of vice-president of Novell, Chris Stone. Novell had long ago seen the trend and was choosing a serious strategy to approach Linux. Thus, we were very interesting to them, since our products enabled their technologies on Linux’s desktops, so they began cooperating with us. Over time, we grew to 10-12 developers who allowed us to make product prototypes really quickly. After a certain time, it was clear for us that we were going to have a deal with Novell – an acqui-hire agreement, to use a fashionable term, which means that they bought our technologies but continued to work with us like with an outsourcing company. 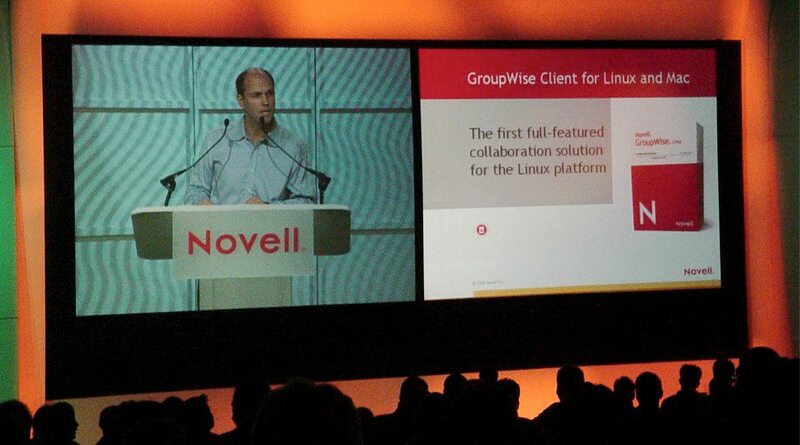 Novell thus became the first client of our company, which we renamed N-iX following Novell’s request. From 2003 to 2005 we worked almost exclusively with Novell. We also tried to invest into other products but without big success. In 2005, we enlarged our client portfolio for outsourcing activities. In contrast to Novell, these new clients were already developing their own products and needed us to develop them further. This is how we adopted a model of long-term cooperation based on dedicated development teams. Editor note: This is an interview from East West Digital News, that first appeared on uadn.net.